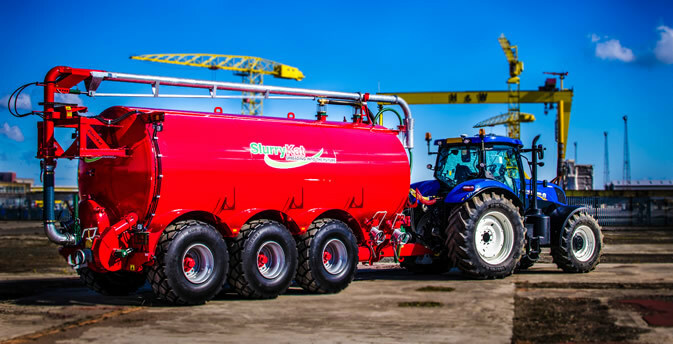 During intensive contracting operations in Ireland, in very hash wet conditions, it was found to be especially inefficient for a single tanker or pairs to be drawing slurry from farm to the field and complete the spreading operation all with the same unit. 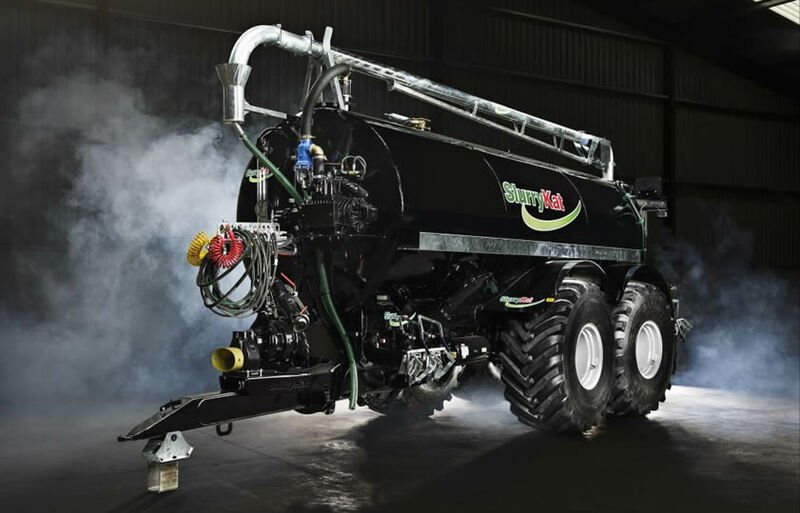 Significant problems were found with headland soil compaction especially around the entrance and exits of fields caused by repetitive trips to and from the farm, other problems associated were high levels of soil muck that was brought out on the tractor and tanker tyres, especially in wet periods onto the road or laneway which created a very unwelcome mess which caused a great danger to other road users. 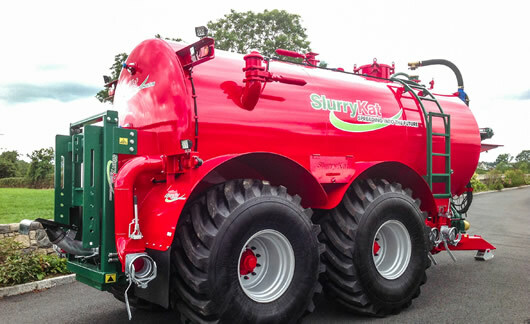 In order to combat and eliminate these problems, SlurryKat engineers designed a ferry system whereby the tanker that is used for spreading equipped with top fill hatch and dribble bar or trailing shoe stays in the field at all times during the spreading operation and only returns to the headland for refilling from the transfer tanker which stays on the road side and never enters the field at any time. 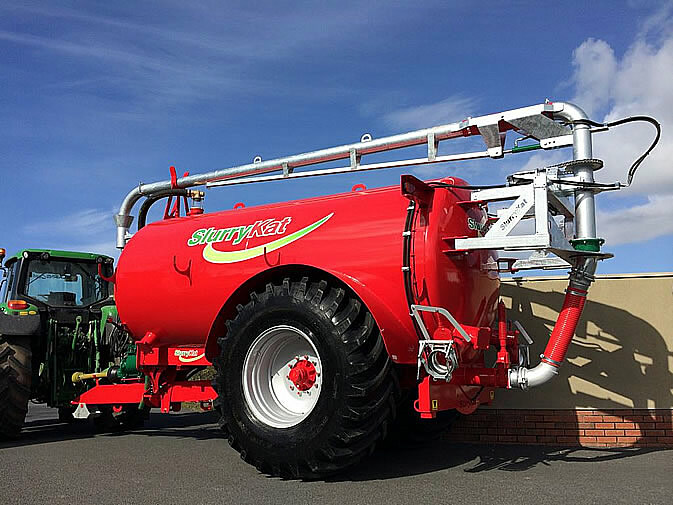 The Ferry transfer tanker is equipped with a 7.5 metre transfer boom, hydraulically operated and delivers the slurry into the field tanker via a top fill hatch as seen below. 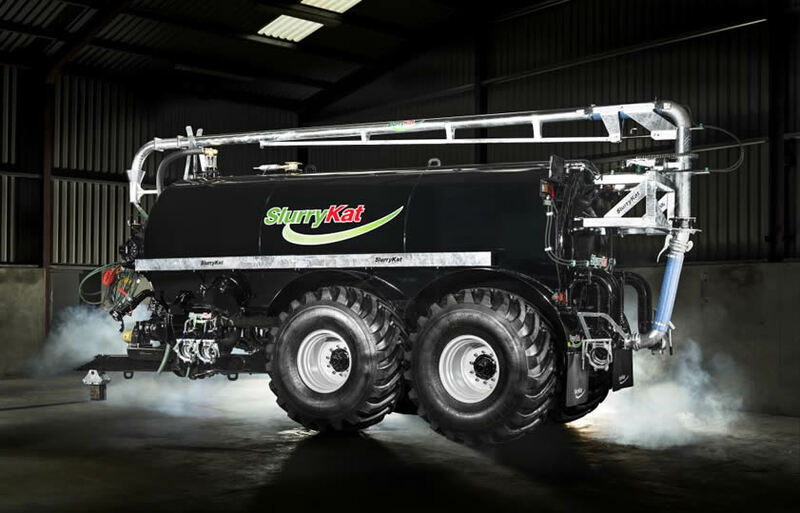 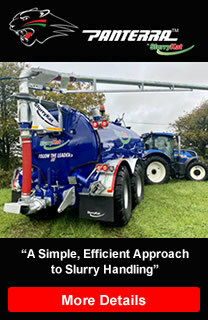 With the long boom this means transfer can take place anywhere at the boundary of the field, even across the widest drains and hedgerows transfer is possible with the super reach boom. 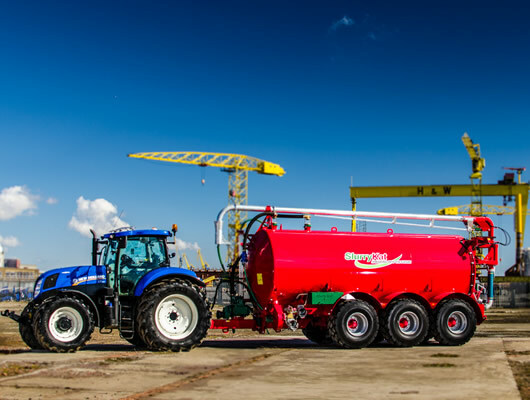 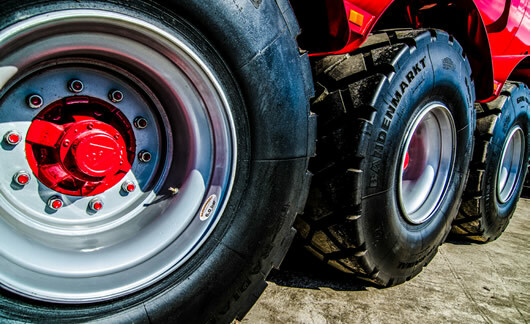 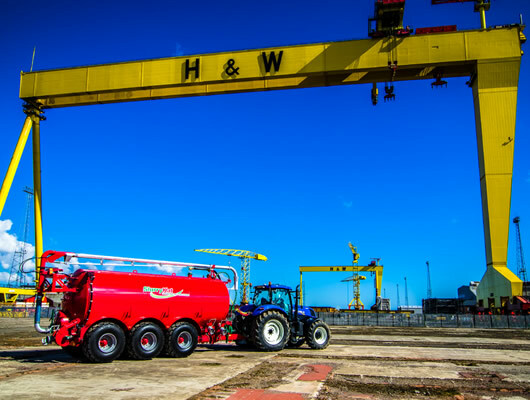 As the ferry unit has no need to leave the roadside, the capacities can be greatly increased to maximise efficiency of the slurry haulage from farm to field. 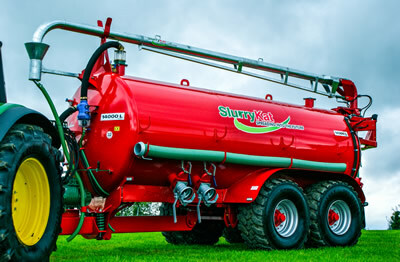 Typical capacities range from 12500 – 25000 Litres.